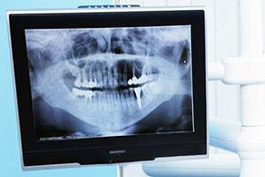 Digital radiographs, or X-rays, are a technological advancement that result in less exposure to radiation for our patients and an almost instantaneous picture for Dr. Ali. Unlike traditional, film-based X-rays, digital X-rays often show more detail and can be archived in our system for future reference and comparison. You will appreciate a more comfortable visit with less waiting and quicker treatment. Digital photography gives Dr. Ali instant images to use for cosmetic imaging or to keep on file to track your progress. Digital images can be saved electronically and are more efficient than traditional photographs. Plus, digital photos show more detail and don't have to be taken off-site for development. 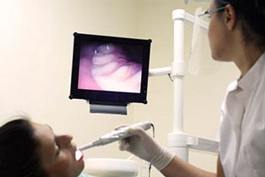 An intraoral camera lets you see inside your mouth during both treatment planning and dental procedures. Our intraoral camera displays your teeth on a video screen, allowing Dr. Ali to walk you through your proposed treatment. The use of this camera allows us to work with you as a team to meet your dental care goals. We want you to picture how your appearance will improve with dental care, giving you all the more reason to smile. 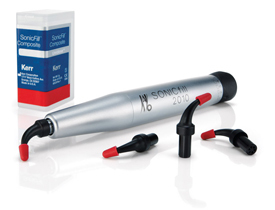 SonicFill is a unique bulk fill system comprised of a specially designed handpiece and new composite material in Unidose tips. SonicFill’s composite incorporates a highly-filled proprietary resin with special modifiers that react to sonic energy. Simply stated, there is no other technology like it on the market today! Each room at Roslindale Village Dental is equipped with massage chair, music, and television.